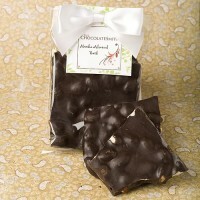 Honest chocolate at its best featuring five bold dark chocolate barks packed full of simple pleasure. 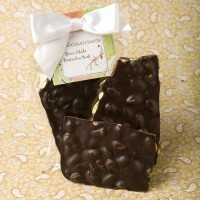 Crunchy almonds, spicy pistachios, and to-die-for white chocolate bark delicately infused with lemon & lavender make this assortment a must have! 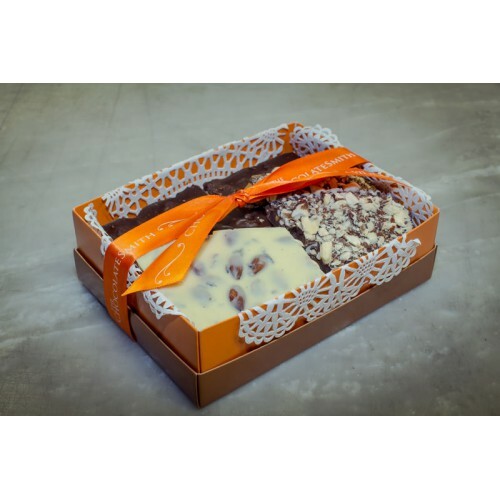 Contains: Classic Almond Bark, Toffee Almond Bark, White Chocolate Lemon Lavender Bark, Mocha Almond Bark, Mountain Bark, Green Chili Pistachio Bark with Cranberry. Approximately 3/4 lb. 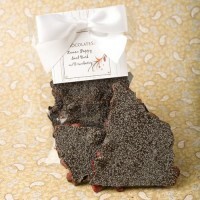 Lemon Zested Dark Chocolate blended with Tangy Organic Cranberries & Bittersweet Organic Poppy S.. Dark Chocolate infused with finely ground Organic Espresso & Tamari roasted almonds. Available i..